The Sri Lanka Disaster Management Act No. 13 of 2005 was enacted on 13.05.2005 and Disaster Management Centre (DMC) was established with effect from 01.08.2005 as provided by the Act. 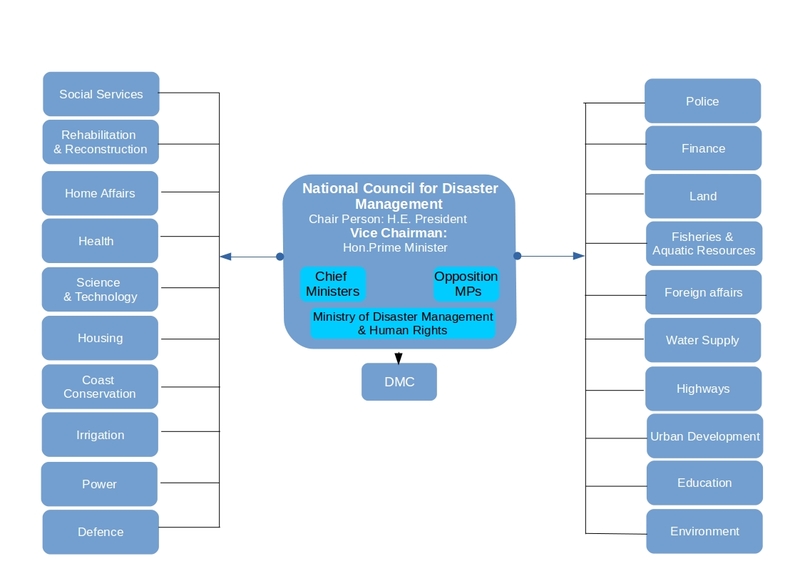 The Act required establishing two important Institutions, namely The National Council for Disaster Management (NCDM) and The Disaster Management Centre (DMC) under the National Council for Disaster Management (NCDM) as the lead agency on disaster risk management in the country in implementing the directives of NCDM. In January 2006, the above Ministry was renamed as the Ministry of Disaster Management & Human Rights.